Accurate assessment of estrogen receptor (ER) expression is crucial to ensure that patients with early breast cancer are accurately identified for appropriate treatment with endocrine therapy. Reverse transcriptase polymerase chain reaction (RT-PCR), compared with immunohistochemistry (IHC), may provide a more precise indication of ER status. Data were pooled and analyzed from two independent, but similarly designed, studies that examined ER status by IHC and the 21-gene Recurrence Score that employs RT-PCR-based methodology. Tumor tissue from patients with early stage breast cancer where ER status could be determined by both IHC and RT-PCR was included. ER status by IHC staining was defined as ER-negative (< 1%), ER-low+ (1–10%), or ER+ (> 10%). ER status by RT-PCR was defined as ER-negative (≤ 6.5) or ER+ (> 6.5). Recurrence Score results from the 21-gene assay were reported on a continuous scale from 0 to 100. A sub-analysis examined the association between ER expression (Allred score 2–7) and response to a 14-day pre-surgery pulse with an aromatase inhibitor. A separate sub-analysis examined the association between ER expression and human epidermal growth factor receptor 2 (HER2) expression. Tumor specimens from 192 patients (aged 25–92 years) were included in the pooled analysis. Correlation between IHC- and RT-PCR-measured ER was strong for IHC-defined ER-negative and ER+ samples (r = 0.646 [95% CI 0.553–0.720]). There was 100% concordance for ER+ tumors; however, 56% of the ER-low+ tumors were negative by RT-PCR. Allred score correlated better with ER status measured by RT-PCR at pre-treatment (r = 0.83) than at post-treatment (r = 0.76). The majority (77%) of ER-negative and ER-low+ tumors were HER2-negative. RT-PCR provided a more accurate assessment of ER expression in patients with ER-low+ tumors, and data support dual testing for patients with ER-low+ status to ensure appropriate treatment planning as it pertains to endocrine therapy. To view enhanced digital features for this article go to https://doi.org/10.6084/m9.figshare.7649864. The online version of this article ( https://doi.org/10.1007/s12325-019-0896-0) contains supplementary material, which is available to authorized users. J. Michael Dixon and Arran Turnbull acknowledge the support of Breast Cancer Now. The authors would like to sincerely thank Amy Sing, MD (formerly an employee of Genomic Health, Inc.) for her coordination of the study and significant intellectual contributions to the development of the initial draft of manuscript. This analysis was funded by Genomic Health. The study sponsor, Genomic Health, Inc., also funded the article processing charges for this article. All authors had full access to all of the data in this study and take complete responsibility for the integrity of the data and accuracy of the data analysis. Writing, editorial, and graphics support for the development of this manuscript was provided by Penny Baron, MS and Robert Steger, PhD of CodonMedical, an Ashfield Company, part of UDG Healthcare plc, funded by Genomic Health, Redwood City, CA. Sing A, Dixon JM, Turnbull A, et al. 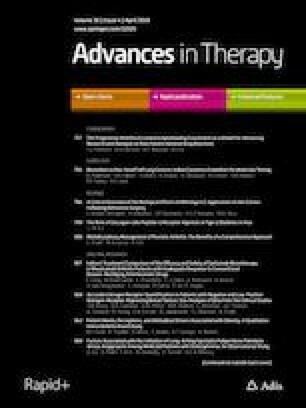 Association of estrogen receptor (ER) levels and prediction of antiproliferative effect of hormone therapy in lower ER-expressing tumors. 37th Annual San Antonio Breast Cancer Symposium (SABCS 2014); December 9–13, 2013; San Antonio, Texas. Abstract #P3-06-35. Singh B, Ziguridis N, Axelrod D, et al. Discordance in hormone receptor (HR) assessment by IHC and RT-PCR in an estrogen receptor (ER) low-positive group (1–10% positive cells): Does accurate assessment of HR status require dual testing? 36th Annual San Antonio Breast Cancer Symposium (SABCS 2013); December 10–14, 2013; San Antonio, Texas. Abstract #P3-05-08. Singh B, Ziguridis N, Butler S, et al. Comparison of HER2 testing by IHC/FISH and RT-PCR in estrogen receptor negative or borderline patients with early stage breast cancer. 102nd United States and Canadian Academy of Pathology (USCAP) Annual Meeting; March 2–8, 2013; Baltimore, Maryland. Abstract #282. J. Michael Dixon, Laura M. Arthur, Deborah M. Axelrod, Lorna Renshaw, Arran Turnbull, and Oliver Young declare that they have no conflict of interest. Jeremy S. Thomas has moved affiliations and is now employed by Q2 Solutions, The Alba Campus, Rosebank, Livingston, UK. He has no conflicts of interest to declare. David A. Cameron attended an advisory board for Genomic Health, Inc. (any income associated with the advisory board was paid to Dr. Cameron’s employer and none to Dr. Cameron). Cynthia A. Loman is an employee of and declares stock ownership in Genomic Health, Inc. Debbie Jakubowski is an employee of and declares stock ownership in Genomic Health, Inc. Frederick L. Baehner is an employee of and declares stock ownership in Genomic Health, Inc. Baljit Singh is a member of the speakers’ bureau for Genomic Health, Inc. and was previously employed (during the conduct of Study 1) by New York University Langone Medical Center, New York, NY, USA. This article is based on previously conducted studies and does not contain any studies with human or animal subjects performed by any of the authors. In study 1 (New York University), the link between patient identifiers and clinico/pathological data was permanently deleted and the study was 'exempt' from review by the New York University Internal Review Board. Patients in study 2 (Edinburgh Breast Unit) were recruited under ethical approval from the South East Scotland Research Ethics Committee 03, approved in 2002, reference LREC/2002/8/23. National Comprehensive Cancer Network (NCCN) practice guidelines in oncology. Breast cancer. www.nccn.org, Version 2.2018. Accessed 15 Oct 2018. American Cancer Society. Targeted therapy for breast cancer. https://www.cancer.org/cancer/breastcancer/detailedguide/breast-cancer-treating-targeted-therapy. 2018. Accessed 30 Oct 2018. Iwata H, Masuda N, Yamamoto Y, et al. Validation of the 21-gene test as a predictor of clinical response to neoadjuvant hormonal therapy for ER+, HER2-negative breast cancer: the TransNEOS study. Breast Cancer Res Treat. 2018. https://doi.org/10.1007/s10549-018-4964-y.